Please navigate around our many areas of interest. Jersey Cabbage Walking Sticks, grown by Philip and Jacquelyn Johnson in Jersey, Channel Islands. Our current stick stock is now nearly exausted. Further cabbage walking sticks may be available at times. Seeds are available as usual. 55.00 under 85 to 90cm (UK pounds, including V.A.T. with turned handle and Jersey enamelled token or Jersey badge mounted on stick)- including post to UK - 60.00 standard length (UK pounds) including post to USA and Europe(starndard Parcel service). The price does not include any local or national taxes. You are responsible for paying any taxes due, depending on country. 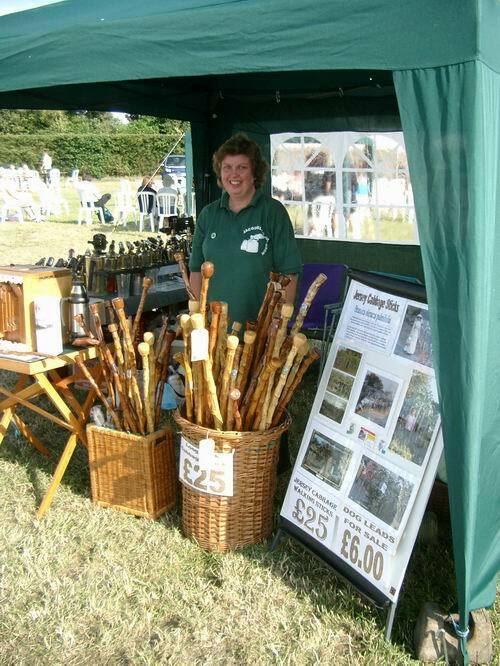 All sticks are cut around 85 to 90cm in length (standard length), some longer ones are sometimes available. Others including children's sizes at reduced prices, please ask. PLEASE NOTE Sticks are NOT available from stock, however due to the seasonal nature of the product and times of peek demand. If you require a stick for a present or need conformation on delivery time, please email or telephone first, before sending the order. (we also take holidays and attend shows, but aim to get back to you as soon as possible). Sticks out of stock, please email or telephone to reserve one. Sticks out of stock, please email or telephone to reserve one. 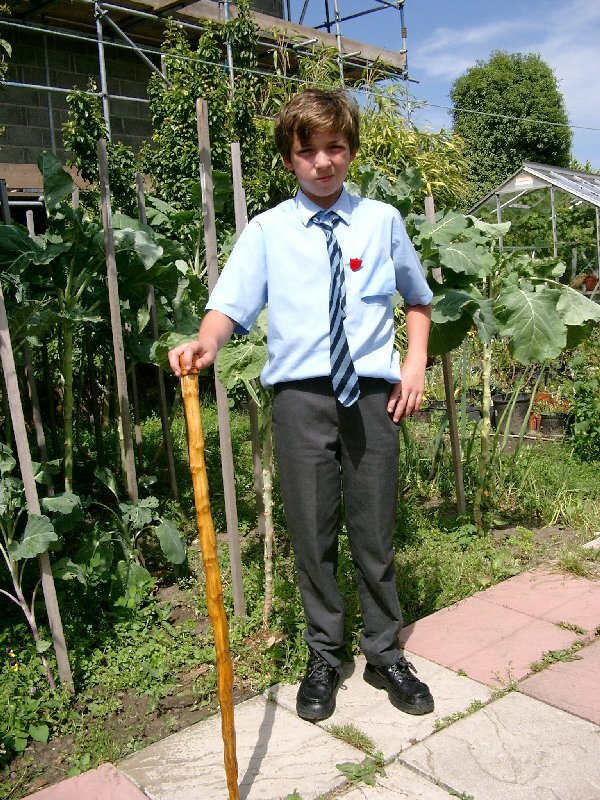 3.00(UK Pounds to UK and Europe) and 5.00 (UK pounds - rest or the world) for a packet of seeds (approx 50) and instructions to grow your own walking stick. Finished sticks. 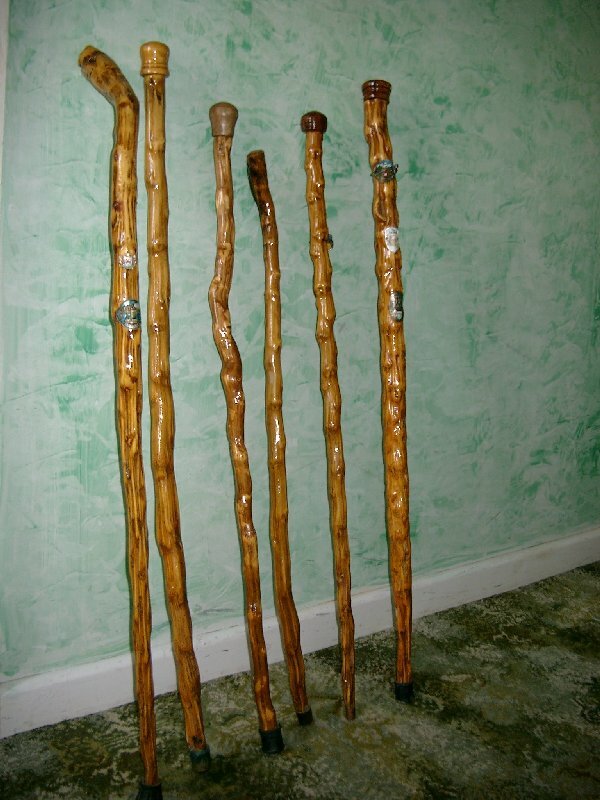 (these are shown for examples only, all sticks are stright, Jersey cabbage sticks are not available with hooked handles). 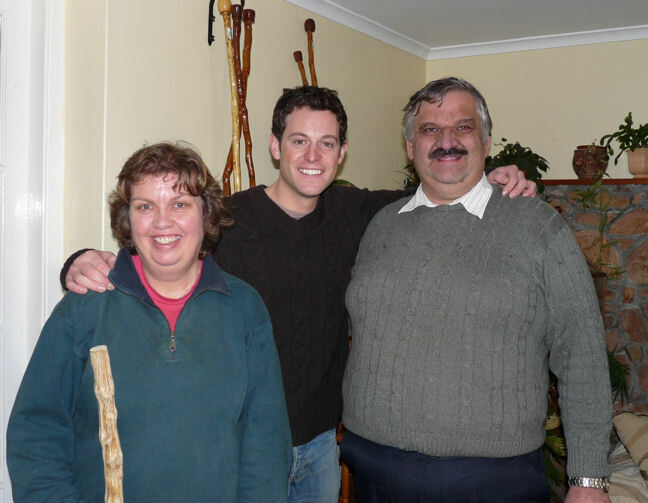 Matt Baker, BBC Countryfile seeing how sticks are made. Shown BBC1 TV, 24/01/2010 Photo:- Jacquelyn, Matt Baker and Philip. 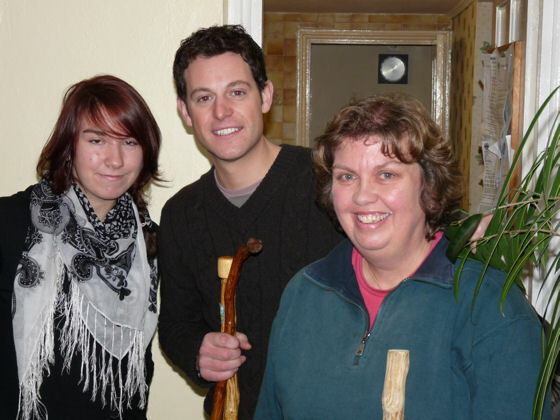 Matt Baker with Jacquelyn and Annabelle Johnson in December 2009. Cabbage Sticks for sale at the Jersey West Show, July 2006. Copyright © 2013 Homestill. All Rights Reserved.